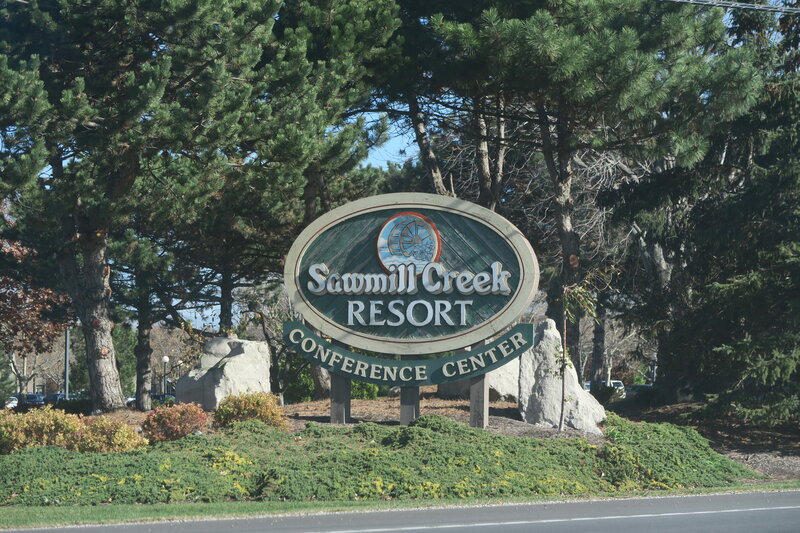 Sawmill Creek Resort in Huron, OH is very close to Cedar Point and its world class roller coasters. But it was November when I visited and the amusement park was closed. Being the off-season, there were plenty of accommodations for the Lake Erie International Model United Nations (LEIMUN) college conference, an organization that was founded by my husband in the early 70’s. Over the years, the group evolved into a non-profit organization with a board of trustees and a staff of volunteer workers. John currently sits on the board and continues to attend its two conferences each year. This conference was being held at Sawmill Creek Lodge. We checked in on a Thursday afternoon. Let me start by saying that the conference was providing our room and someone else was in charge of the accommodations so we had no voice in which room we were assigned. 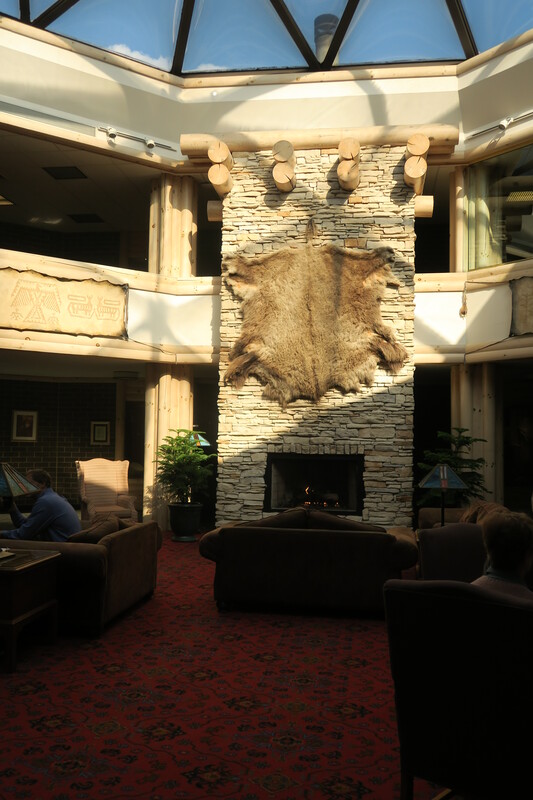 The lodge lobby, conference rooms, and community spaces are in the center of this large complex. 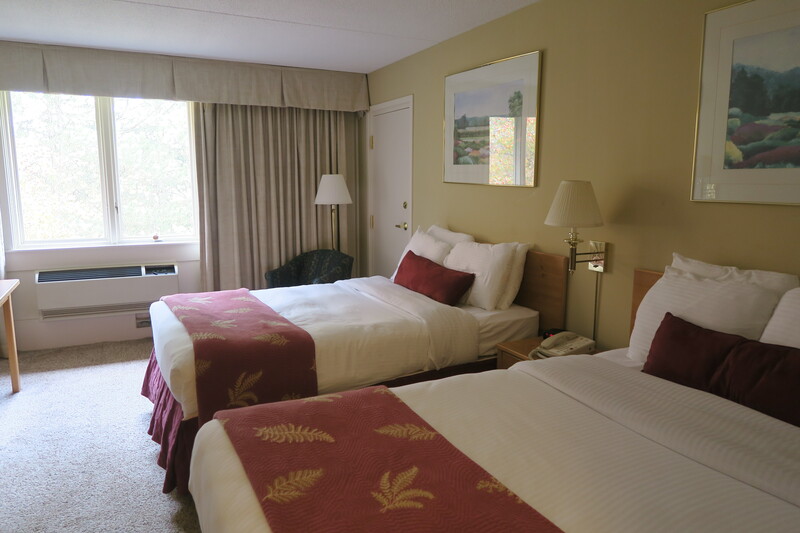 Guest rooms are located in individual buildings that are linked to the lobby and each other by long, interior corridors. We were given a room on the second floor, halfway down the hall in the “Mohawk” building. There was nothing special about the room. It was a standard hotel room with two double beds and looked like any chain hotel. But, unlike all of the cheaper Best Westerns and LaQuintas we’d recently stayed at, we were surprised to find that this room did not have a refrigerator or microwave. The furniture was basic hotel design ̶ a dresser with flat screen TV on top, a small, square desk with two chairs, and a small reading chair in the corner. Whether by design or by chance, our two beds were not the same. One was extra firm and the second a little softer with a pillowtop mattress. We both ended up sleeping in the softer bed but, because it was only a double and not a queen, it was a bit small for the two of us. The biggest problem with our room however, was that the WiFi NEVER worked. I could connect but it was impossible to stay connected for more than 20 to 30 seconds at a time. If I’d actually needed to do business I’d have been crazy. As it was, trying to download photos and send an email was aggravating enough. The room was very clean and updated. If I were staying in a budget-priced hotel, it would have been satisfactory (except for the non-working WiFi). But this was a room that typically falls into the $200 per night range. My expectations were higher. I found the lack of refrigerator and microwave to be inconvenient and the room as a whole to be dull and uninspiring. If I were actually booking and paying that much for a room, it would make sense to pay the extra fee to upgrade to a nicer room with a fireplace or jacuzzi. At Sawmill Creek, much of what you are paying for are the amenities. In that, I found nothing to be lacking. 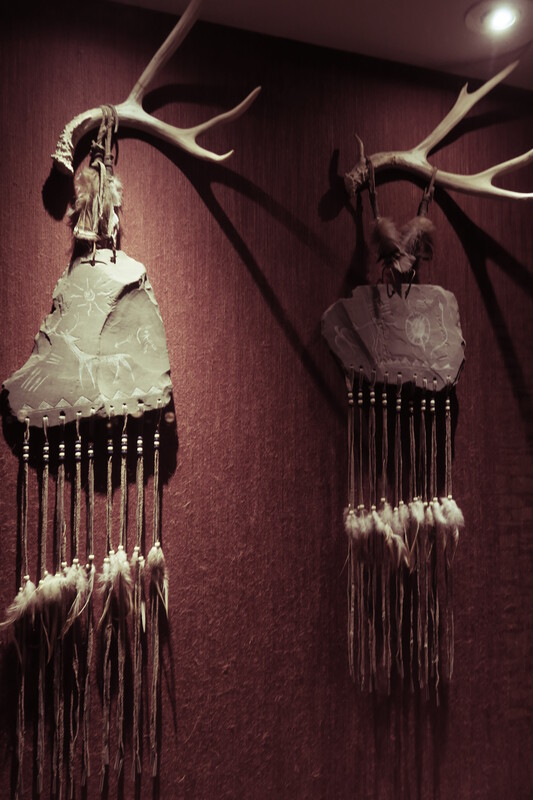 The lodge itself is lovely, sporting a local Indian theme with all the rooms and buildings given Indian names such as “Hiawatha,” “Chippewa” and “Huron.” Museum-like display cases are filled with local Indian artifacts and are scattered throughout the common areas. 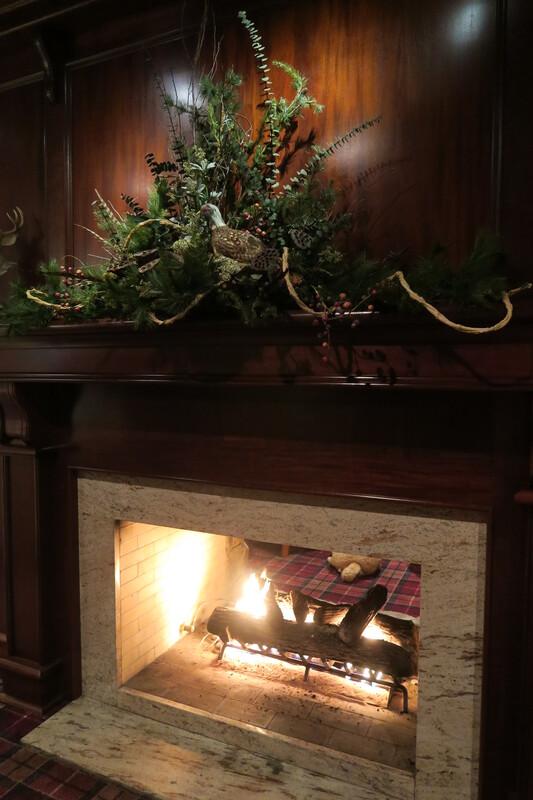 A large lounge is filled with comfortable seating around a two story fireplace topped with a glass ceiling. 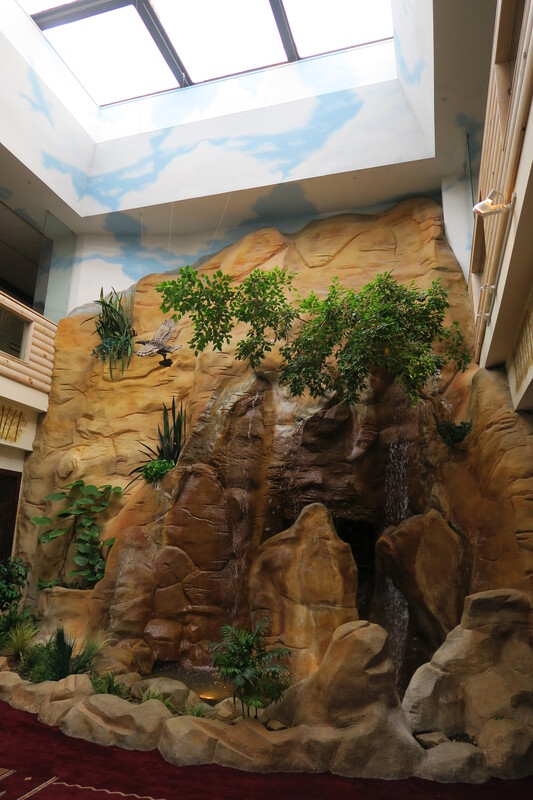 Another area is highlighted with an indoor waterfall. There is a small deli and shop where you can buy a quick snack or any necessities you may have forgotten to pack. 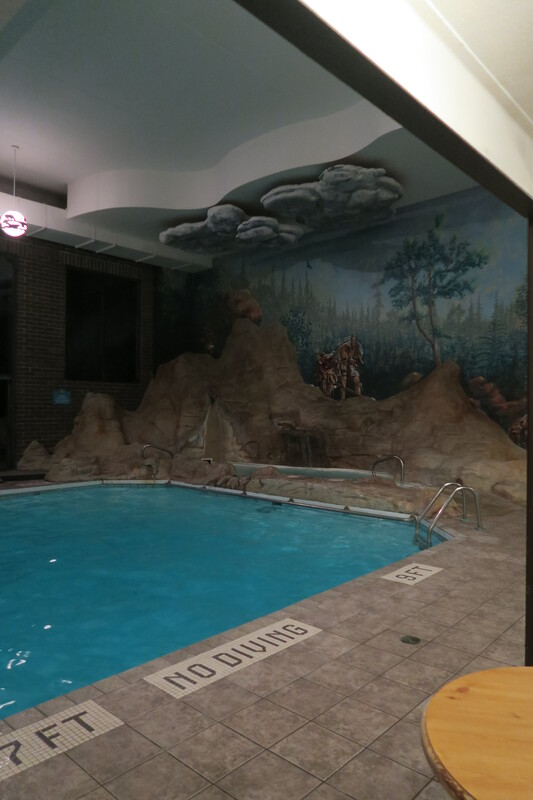 A pretty pool area was quiet and unused most of the time as was the room filled with arcade games and a pool table. A workout room had several kinds of equipment. There were a couple of outdoor patio areas. A golf course is on the property as well as a beach since the property sits on the Lake Erie shore. The outdoor pool was, of course, closed. The area looked like it would be very nice in the summer. There is also a nature trail on the grounds. We ate all of our meals but one in the lodge’s “Salmon Run” restaurant and bar. Menu prices were not cheap, but neither were they over-the-top expensive. The best bargain was the breakfast buffet at $12.95 on Friday and $9.95 on Saturday. Scrambled eggs, bacon and sausage, home fries, waffles, etc. were all available and everything was fresh and tasty. A Friday night $21 prime rib special along with a special event “tapas” menu had everyone at our dinner table in a quandary about which of the delicious sounding options to order. Everything that came to our table, including my own small plate of macaroni and cheese, was fabulous. Another meal saw six of us sharing several appetizers. All were very good. 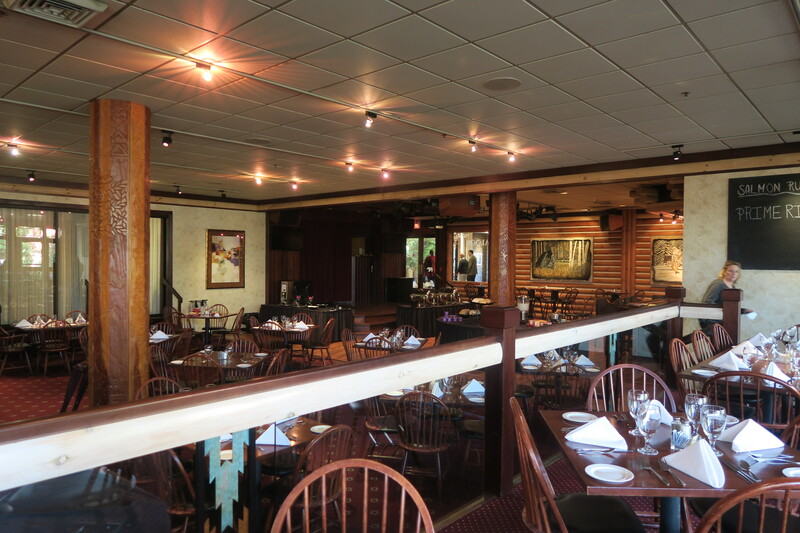 The wait staff was not only efficient but also friendly, and they made every meal a pleasurable experience. 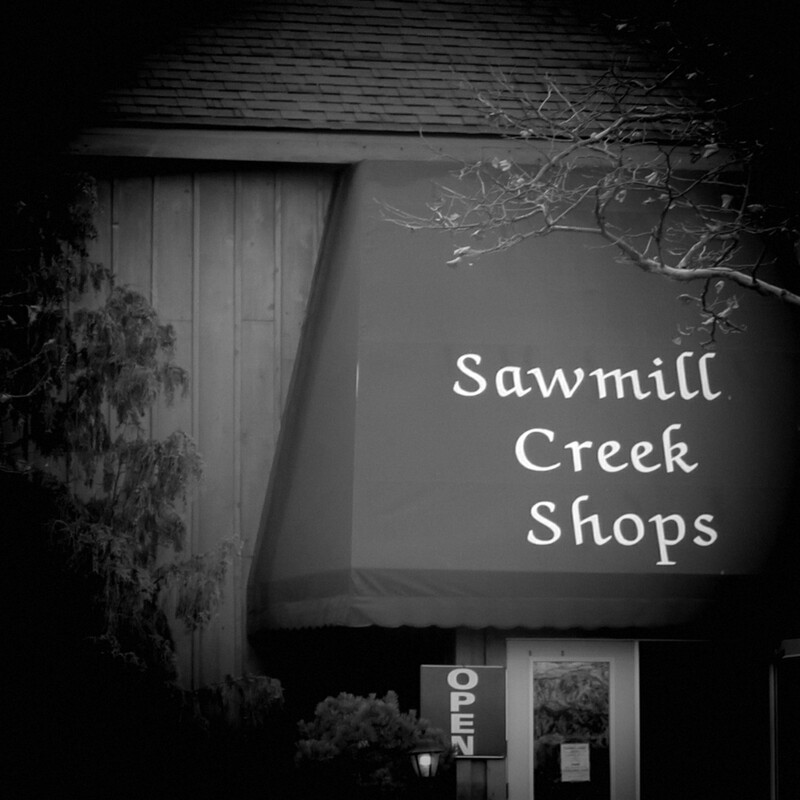 In a separate but nearby building are the Sawmill Creek Shops. Whether an old barn converted to shops, or a new building built to look like an old barn I’ve no idea, but the large, multi-leveled structure is very interesting and a fun place to browse for an hour. It is not your typical gift shop but is instead filled mostly with mid-priced fashion and home décor pieces. There was a small Vera Bradley section and an area that sells Ohio State merchandise. If you want cheesy shot glasses or key chains you’ll have to look elsewhere.